Restaurants, retail brands, and taxi service providers regularly hand out discount or deal coupons as part of their promotions. But now that everything is going mobile, printing and managing paper coupons is relatively expensive and inconvenient for the customers. This has given rise to m-coupons – coupons digitally created on mobile apps and saved in wallets like Passbook. But paper coupons had an advantage—uniqueness. One could redeem a paper coupon at the store and the merchant would keep it. This ensured that no one used the same QR Code again. How do you ensure that m-coupons are not used multiple times in an affordable way? Using a QR Code. One can also use this system with m-tickets as well at conferences, plays, movies, and other low-volume events. This solution makes use of single-scan QR Codes, provided by QR Code Management tools such as Scanova. The key advantage for merchants is that such a system can be set up at a low cost without the need to manage any databases or servers at the merchant’s end. The entire system is manageable at the service provider’s end, making it possible to deploy the system at a rapid pace. 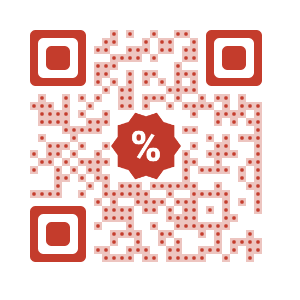 Also see how you can create QR Code coupons for your marketing campaigns.